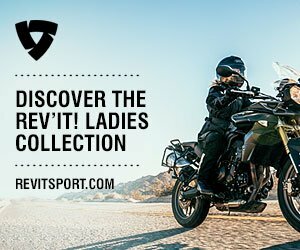 Knee Sliders for Motorcycle Riders? Just like nail polish knee sliders are available in many different colours, compounds & materials. A set of knee ‘scrapers’ for the average road rider will generally last you quite a while, unless you opt for riding on the race track! Generally made from plastic, knee sliders come in all sorts of compounds & colours. The ‘way cool’ versions have patterns running all the way through! Old fashioned leather sliders, made by layers of bonded leather (not so common) will probably outlast your suit. You can also get a pair of sliders with titanium rods implanted will make impressive sparks when contacting the asphalt. 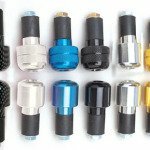 You can buy full titanium sliders which are quite heavy & generally not allowed on track days! Back in the day when Christmas presents consisted of oranges & a pencil sharpener in your stocking, motorcycle racers didn’t hang off their bikes (reference Mike Hailwood). This wasn’t because they were stiff, its just that no one had thought of it! Hard to believe today! It was when Finland’s Jarno Saarinen broke onto the world scene early ’70’s, demonstrating his highly irregular hang-off style, which wasn’t quite knee-down. Then, a young American called ‘Kenneth Roberts’ was so impressed with this Finn during Ontario in 1972, he decided to change his style to match the Finn and low and behold, discovered that cornering indeed was much easier! He soon started scraping his knees & to prevent his knees of his race leathers from wearing away, would reinforce his leathers with tape. Everyone thought it was mad! But soon top competitors Barry Sheene & Paul Smart had also adopted the style also because they discovered it worked the tyres less & allowed for much quicker cornering (plus science proved it made sense!). Since knee sliders had still not been invented, riders taped old helmet visors to their knees as a solution! Sliding on the road really only started in the 1980’s when journalist test riders wanted to ham it up for their photo-shoots, trying to look like the racers in pro shots, I repeat ‘trying’. The first ever knee sliders were introduced by ‘Pro-tek’ which were so grippy that when they touched down, apparently took your leg off at the hip! Yes technology has come a log way now with a broad range of perfectly suited knee sliders to pick from. In fact, most all race suits come with them in place already!